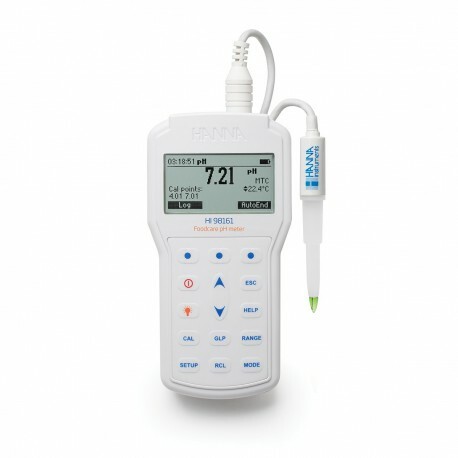 The HI98161 is a rugged, waterproof, portable pH meter that measures pH and temperature using the specialized FC2023 Foodcare pH electrode. 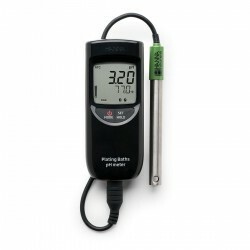 This professional, waterproof meter complies with IP67 standards. The HI98161 is supplied with all necessary accessories to perform a pH/temperature measurement packaged into a durable thermoformed carrying case that holds the meters, probes and calibration buffers securely in place. 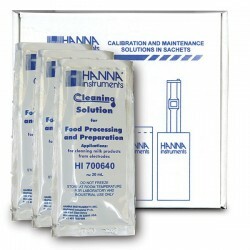 One of the most common measurements of food products is pH. The pH influences many qualities of food products including flavor, fermentations, texture, appearance and shelf stability. Foods are generally broken into two groups based on their pH value. These groups include acid foods which have a naturally low pH of 4.6 or below and low-acid foods that have a finished equilibrium pH values greater than pH 4.6 and a water activity greater than 0.85. The low-acid foods can be pH adjusted with an acid to lower the final pH and become an acidified food. Maintaining a lower pH will help in preventing unwanted bacteria from growing. 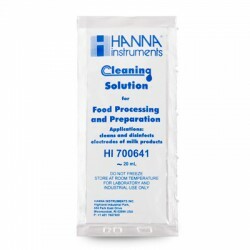 Food products can provide a number of challenges for the person that needs to measure pH. 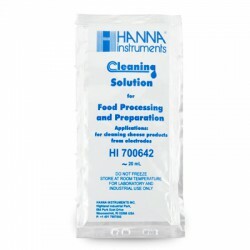 Food products tend to be solid, semi-solid or as a slurry with a high content of solids. All three types of samples will coat the sensitive glass membrane surface and/or clog the reference junction. 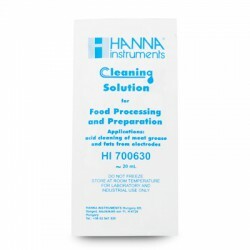 The FC2023 that is supplied with the HI98161 is designed specifically for measuring pH in food. From a conic tip shape for easy penetration, open junction that resist clogging, and a Polyvinylidene fluoride (PVDF) food grade plastic body that is resistant to most chemicals and solvents, including sodium hypochlorite. It has high abrasion resistance, mechanical strength and resistance to ultraviolet and nuclear radiation. PVDF is also resistant to fungal growth. 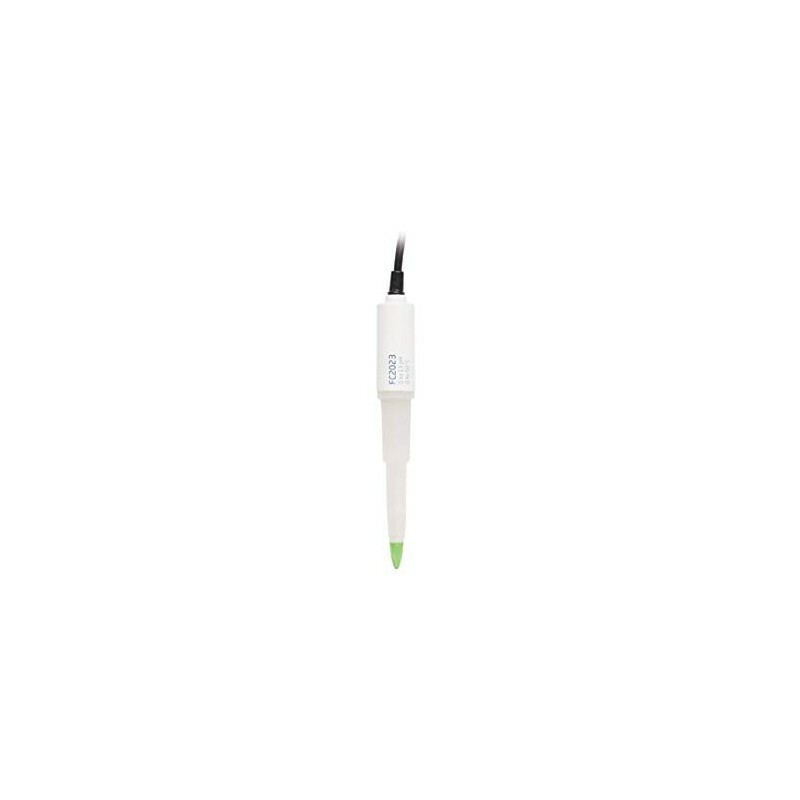 The FC2023 is an ideal general-purpose pH electrode for food products that connects to the HI98161 with a quick-connect, waterproof DIN connector, allowing for a secure, non-threaded attachment. 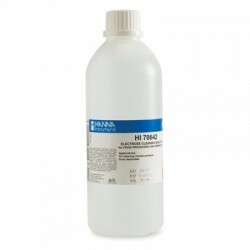 Ordering Information: HI98161 is supplied with FC2023 PVDF body pH electrode, HI7004M pH 4.01 buffer solution (230 mL), HI7007M pH 7.01 buffer solution (230 mL), 100 mL plastic beaker (2), 1.5V AA batteries (4), HI92000 PC software, HI920015 micro USB cable, instruction manual with quick start guide, instrument quality certificate and HI720161 hard carrying case.